Some real witchy women hanging loose on the Babe Waves this week. 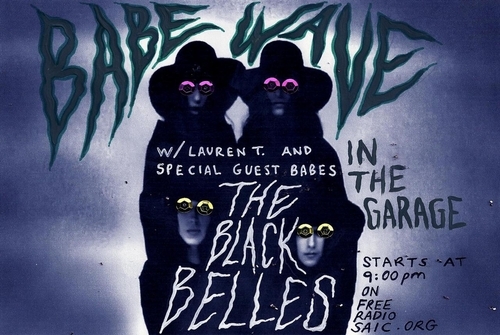 Our number one grrrl – Lauren T – had some special guests [The Black Belles] join her this week in the studio to dish about this and that and listen to some rock and roll. The Belles stopped by on their recent tour of the northeasterly US with Bleached to talk about stories from the road and their new record and their influences. Definitely worth checking out. Lauren’s got some more interviews and special shows coming up – so be sure to stay tuned. And – for all you tweeters out there – you can now follow the Babe Wave here. Remember! 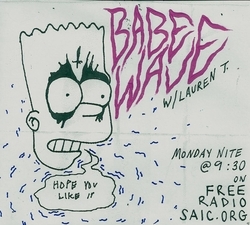 You can always catch BW on Monday nights at 9PM from Free Radio SAIC! super excited to hear white mystery!